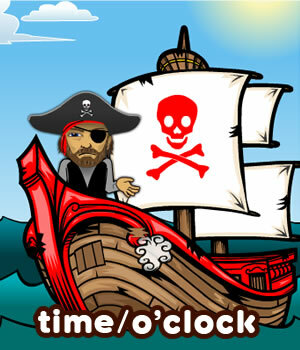 This lesson will teach ESL students how to tell the time English. 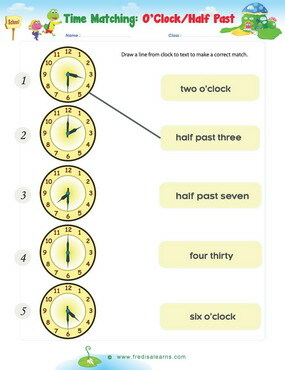 This is the first lesson on telling the time in the most basic form using 'o'clock' and 'half ' The lesson does not focus on 'quarter to' and 'quarter past'. This ESL kids lesson also covers daily routines and the adverb of frequency 'usually'. The worksheets below are useful for offline and classroom activities. 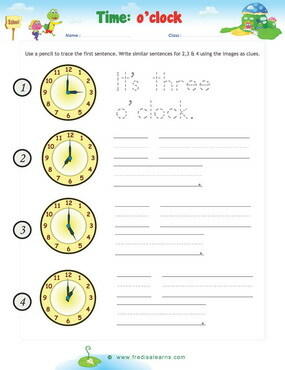 These printable exercises directly correlate with the above lesson 'Telling Time O'Clock'. Every worksheet comes with an answer sheet on the second page for educators. Dad is ready for work. He is surprised to find that the children are not ready for school. Mom goes to check and to her surprise, Freddie and Lisa are still sleeping way past waking time. She urges them to hurry and leave for school. It is clear they are going to be late for lessons.